It’s no secret that big data is redefining the marketing landscape for many industries in 2018, and we think the next arena to be rocked by big data will be the concert experience. 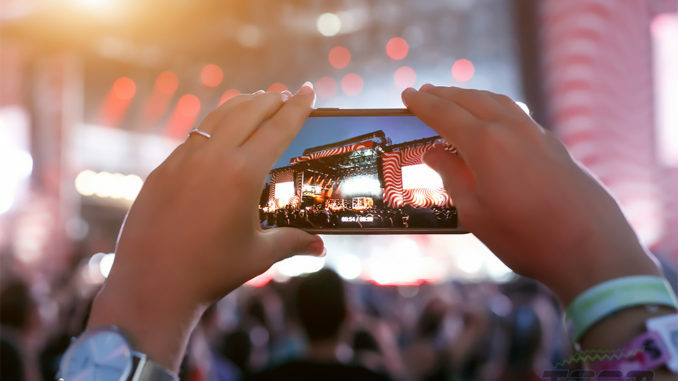 Interactive brand activations have already permeated many aspects of event marketing, but there is still plenty of room left for data-driven marketing techniques to update and improve the experience for concert goers and music fans around the world. When we walk into a sporting event or a major tradeshow, we often find ourselves immersed in promotions and brand activations from sponsors and advertisers. But relatively few brands have tapped the potential of major concert events – and relatively few concert venues have cultivated relationships with the big national brand sponsors and advertisers who could bring a whole new dimension of interaction and engagement to the typical concert experience. We think that’s going to change in the near future. We’re likely to start seeing more and more interactive brand activations cropping up at major concert events. And just as interactive activations have created a more engaging and exciting experience for event attendees and sports fans – they will also add another level of depth to the concert experience. Some national brands have managed to earn exclusive distribution rights at major concert venues – but their representation has rarely extended past the concession stands. That’s going to change as more brands recognize the opportunity that exists to engage huge numbers of fans at emotionally-charged events like big concerts. This exact scenario has created some very notable successes in the world of sports, and the same principles can easily be transferred to tailgating lots and concourses at major concert venues. In recent decades, it has become commonplace for big concerts to draw crowds in excess of 100,000 people. When you consider that many of today’s biggest concert tours include 20 or more stops in cities around the country – it doesn’t take long before the numbers really start to add up. In some cases, sponsorship of a single concert tour could be comparable to a season-long sponsorship of a major sports team. And you could make the case that music fans typically have more in common as a social group than sports fans. Sports fans have geography in common – they’re all from the same city or region – but demographically they often don’t have much else in common. Music fans are more closely aligned according to age, interests, and lifestyle factors – making them a more valuable audience for certain brands and certain promotions. TGSM’s mobile activation assets have provided many brands with instant access to data-driven marketing for the most valuable demographics at major sporting events across the country. Our assets have become commonplace on NFL tailgating lots and NASCAR infields, because they have proven their ability to attract and engage women and millennials. The presence of a TGSM activation on a tailgating lot has a profound impact on attendance and duration-of-stay figures for these key demographics – and they can have the exact same impact at concerts and festivals. We have developed a unique and unforgettable experience that allows any brand to present an instant interactive activation with minimal research and investment. The creative work is done for you – our interactive games generate a huge buzz every single time. The mobile app has already been developed – you can brand it to match your messaging, or use your own app if you prefer. And the data collection is second to none. Every time you deploy a mobile activation asset from TGSM you will harvest a wealth of valuable anonymous data that you can use to fine-tune your messaging, improve your audience definition, and inform your strategic decision-making. We use a free high-speed data network to attract millennials. As a pleasant side-effect, our data network also draws in those fans who are most likely to share their experience on social networks. A robust set of beacon sensors tracks the movement of people through the activation and reveals which of your messages and images generate the most interest. And our state-of-the-art luxury bathrooms are an oasis of comfort and cleanliness – guaranteeing that your guests never stray far from the activation. TGSM’s mobile activation assets allow any brand to tap in to the lucrative and growing field of the data-driven concert experience. The entire activation can easily be re-branded to match your brand’s image and messaging. You can split test different messages against each other, and you have an unlimited ability to configure different promotions, coupons, gifts, and offers. How you design the experience is entirely up to you, and TGSM can guide you through the decision-making process to ensure you get the desired results for your activation. Because our assets can easily be rebranded, some venues retain them onsite and rent the ad space out to their sponsors and partners. And because our assets are mobile and easy to relocate, some brands treat them as travelling activations that moves from destination to destination as part of a travelling road show. If your brand is looking for creative ways to get involved in the new data-driven concert experience, get in touch with TGSM today. Our trained staff will give you a virtual tour of our mobile activation assets and answer any questions you have about how your brand can use our assets to make an instant impact at concerts and events in your area. Give us a call at (888) 995-2285 to learn more.